I sense some backlash coming my way from @illiards on this post, but I’ll persevere. Do you like beer? Do you like bicycles? Do you like, or need, to use your bicycle to get your beer? Do you drink more than one beer at a time? 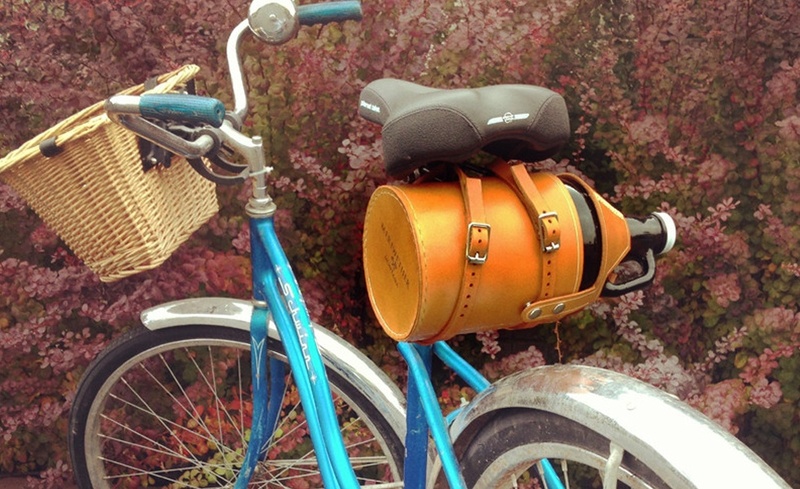 If you answered yes to more than one of those questions, you should really check out the leather bike growler carrier from Meriwether Montana. Each carrier is handcrafted from vegetable tanned leather and designed to attach to the seat hooks or directly to the post. Pop the snaps, put in your favorite growler, close it up and ride home. It’s a simple and elegant solution to mass beer transportation that just so happens to look really good.